Pioneers in the industry, we offer tower packing, plastic ball blanketing and hollow balls from India. Our organization is engaged in manufacturing, exporting and supplying optimum quality Tower Packing. Commonly used in power plants, the offered tower packing is highly popular among our customers due to its excellent finishing. Our tower packing is manufactured with top notch quality material & contemporary techniques. We are giving this tower packing to customers at market rates. 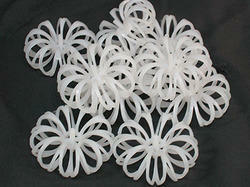 With our years of experience and knowledge, we are engaged in offering a wide gamut of Plastic Ball Blanketing. Our offered product is valued for its quality & durability. This product is designed by using supreme quality material & leading techniques. The offered product can be customized in variegated options to choose from. 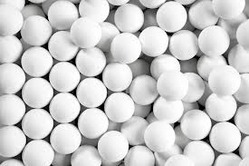 We are offering wide range of Hollow Balls. 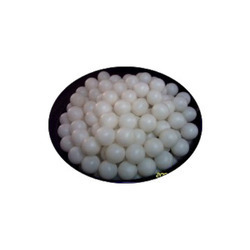 Leveraging on our experience and expertise, we are capable of providing highly durable and rust resistant array of Hollow Balls. Further, our offered range is bestowed with various features and can be availed at affordable prices. Looking for Tower packing varieties ?